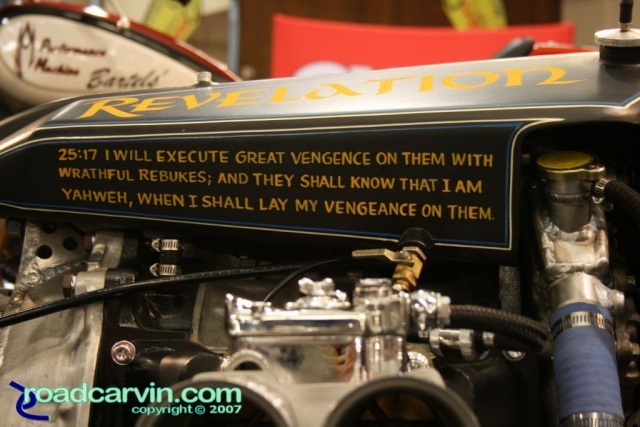 Close-up of the 'Revelation' custom motorcycle's fuel tank; shown at the 2007 Cycle World International Motorcycle Show in San Mateo. If I recall correctly, this was a rotary engine-powered motorcycle. Submitted by Michael Curry on December 28, 2007 - 10:57pm.